Most colleges and universities have Twin XL beds, which in all seriousness can be a pain to shop for. A little longer than a regular twin-sized bed, it’s important to get the correct bedding! This of course is essential to keep in mind, but in all reality, the dorm beds aren’t that comfortable either. DormCo understands the troubles of an uncomfortable dorm bed and that is why we have a great selection of Twin XL bed toppers! From varieties of Memory Foam to Featherbed toppers, experience the dorm comfort that you cannot resist. Memory Foam, being one of the most popular and comfortable bedding materials to date, is a DormCo favorite. College comfort is a necessity just like the other dorm products on your college shopping list, and our Memory Foam Twin XL toppers provide just that. 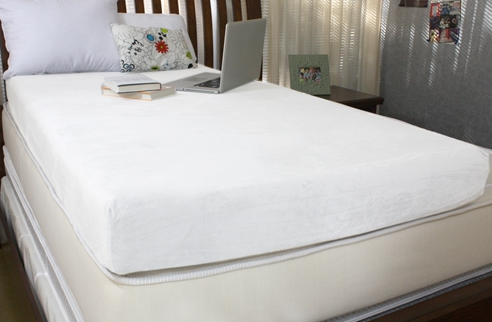 While a mattress pad does add some comfort, it is mostly used to protect an already existing mattress and topper, whereas a mattress topper provides the irresistible comfort! Memory Foam toppers specifically mold to the body and provide comfort with foam plus the absence of springs to provide comfortable dorm bedding! There are also plenty of different options that you can choose from. Stick to the basic 5 Zone Twin XL Memory Foam Topper, maybe the Gel Infused TXL Topper, or even the 6” Twin XL Memory Foam Mattress Topper for ultimate relaxation. Maybe memory foam isn't for you, which is fine! There are a handful of other toppers for your college dorm that will suit the level of comfort that you are looking for, like our Luxury Down-Top Featherbed for example. 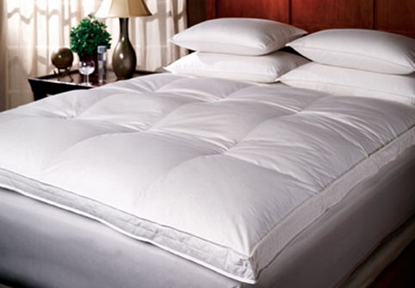 Featherbed toppers are generally more pillow-like, providing a more cushioned, supportive comfort for your bed. It’s 100% cotton down proof fabric plus the option of duck or goose fill makes your dorm bed totally comfortable. A mattress topper might not seem like the most important thing to get for college right now because you’re caught up in figuring out what color scheme you want your dorm room to follow or what Twin XL comforter you’re going to choose! But rest assured (no pun intended), a dorm bedding addition like this will make your bed that much more comfortable! Plus, the sleep you’ll get in college will feel heavenly on a comfortable mattress topper suitable to your sleeping needs.